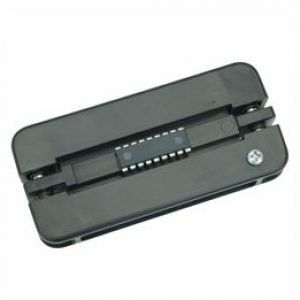 Suitable for standard narrow (0.3") 14,16,18 & 20 pin chips and the wider (0.6") 24,28 & 40 pin chips. Simply drop in the chip and squeeze device to set the pins to the correct width alignment. 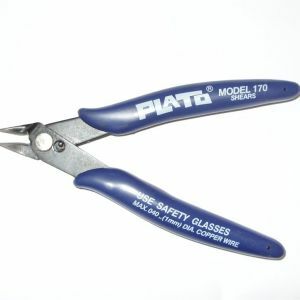 Light duty snips, ideal for clipping the pins off dead chips during removal from PCB, trimming component leads etc. 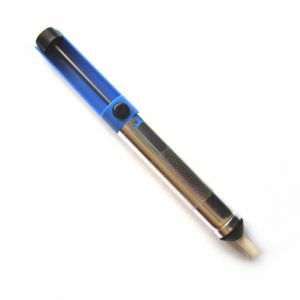 A light duty, low-cost de-soldering tool, useful for removing solder when replacing parts in PCBs. Simple to use: Press down plunger, heat joint with soldering iron, quickly place solder sucker tip on pad and press button to draw away solder.